Colo-X was pleased to attend the grand opening of the new 400-rack 4D Gatwick data centre on the Manor Royal business park, just south of Gatwick Airport. The facility was a former EE switch site, so recently became part of BT, who then consolidated the equipment to leave the facility vacant. 4D took possession of the site in the fourth quarter of 2016. After a complete refit of all the site’s electrical infrastructure (primarily to upgrade it from 1MW to 3MW gross) the first customers are now live. 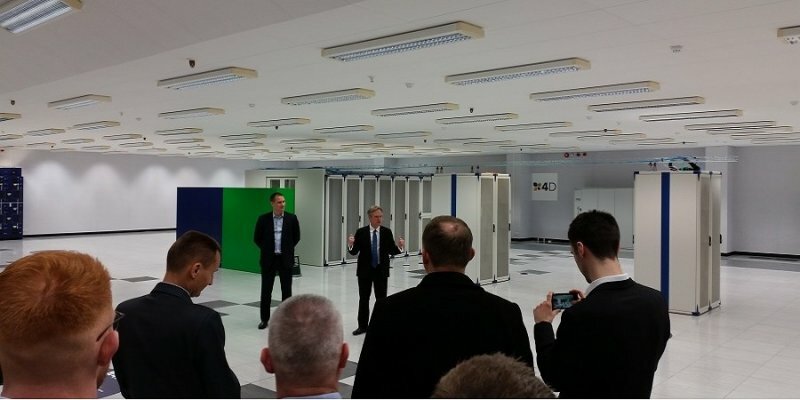 The data centre can now offer 400 cabinets at an average of 5kW each, or 2MW of customer power in total. The total net technical area is some 10,000 sq ft. The facility is the 62nd London data centre on Colo-X’s data centre data base. 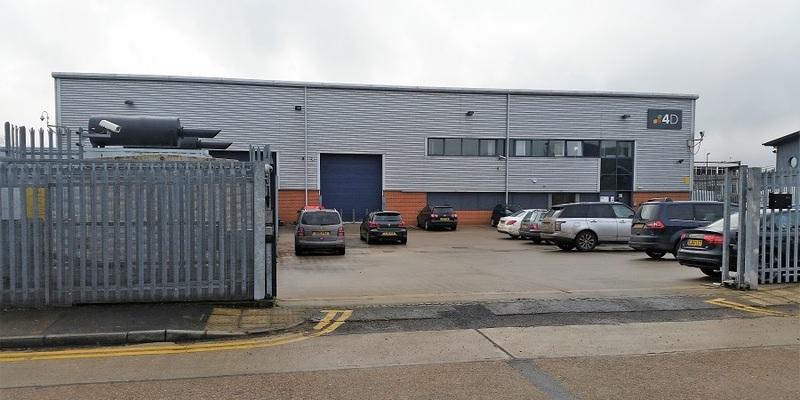 4D’s original facility, is located some 30 miles to the north west in Byfleet, Surrey. It opened in 2008 and offers some 300 cabinets, but only at 3kW each on average. 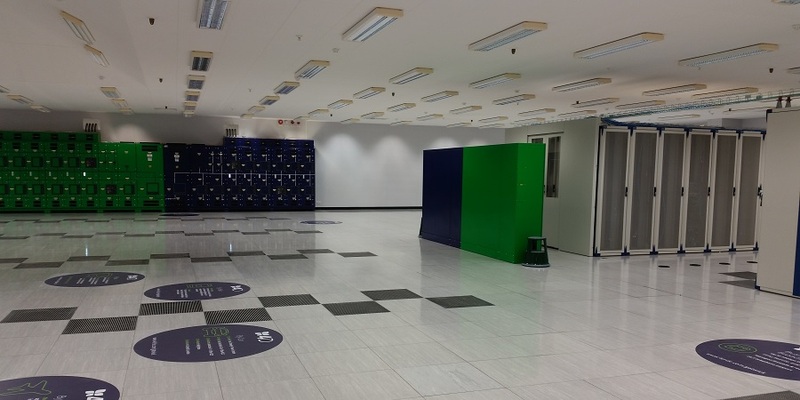 Therefore the new Gatwick data centre is a significant addition of new capacity for 4D. The existing carrier list includes Vodafone, Zayo, BT and Virgin. 4D’s own dark-fibre ring connects Gatwick to their Byfleet site and Docklands. This allows them to offer competitively priced lit services. Network choice in the area will doubtless have been helped by Digital Realty Trust’s new Crawley campus. The campus is located less than half a mile to the south of 4D Gatwick. Construction of the second 130,000 sq ft data centre building appears to be well underway here, with the first building already let to Rackspace. The big colocation operators seemingly getting bigger all the time, both through acquisitions and organic growth. In our view, this means there is great opportunity for the smaller, more nimble and customer-focussed regional providers such as 4D. This is especially the case for those offering a full range of services including connectivity, cloud and colocation. 4D’s colocation products start from quarter racks, with half, full and multiple rack/pod options available. The company appears to have a well-thought-out and balanced pitch to the market, especially for locally based enterprises. To discuss this site, colocation pricing or the range of colocation options in and around the London market, please contact us.